Ref. 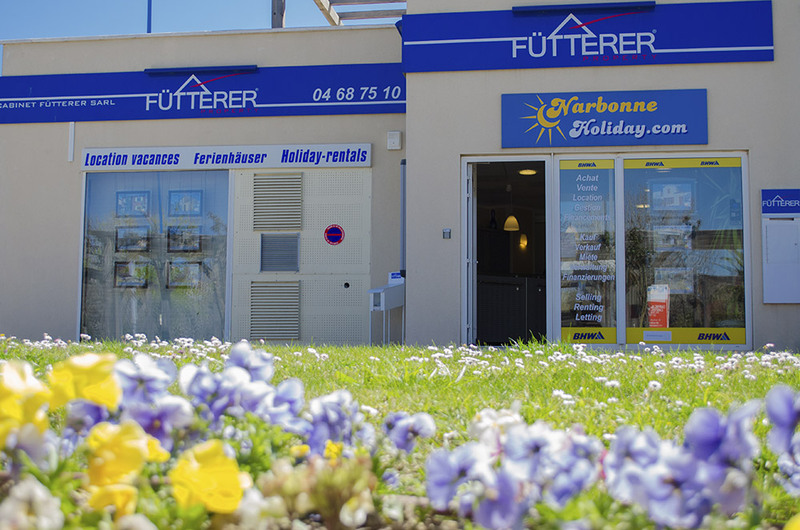 2998 - Fütterer Property presents in Gruissan - Les Ayguades : In a residence with secure swimming pool, this pavilion 2 rooms + mezzanine sold furnished consists on the ground floor of a veranda facing south serving as a dining room to take long lunches bathed in light. The veranda then gives on a stay with corner cooks equipped. At the same level you will find a bedroom with closet, a bathroom and a separate toilet. 1st floor: a large mezzanine to accommodate additional sleeping. The accommodation is located 5 minutes from the lagoon, the authentic beach of Ayguades, small local shops and the classified massif of la clape. Subject to the status of the condominium - Co-ownership fees : 570.01 €/year - Condominium of 121 lots.